Of the world’s many wine drinkers, few age their wine for any significant period of time. Doing so means you not only need more than one bottle of wine on hand – a rarity for many consumers - it also means you need the patience to squirrel the wine away for an extended period. 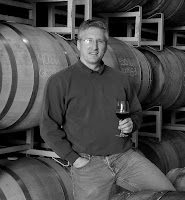 Here winemaker Kendall Mix of Lawrelin Wine Cellars has taken care of the patience part, holding onto his inaugural releases for – wait for it - more than a decade prior to release. Never taking to hospitals and with the full support of his parents, Mix decided to go in another direction, with an elective class in brewing and winemaking providing the inspiration. “This lit a fuse,” he says of his decision to subsequently become a winemaker. Mix talked to his professor about how to pursue winemaking as a career and subsequently enrolled at UC Davis’ Viticulture and Enology program. Mix moved to Washington in 1993 to join Chateau Ste. Michelle’s red winemaking team at their newly built Canoe Ridge Estate facility. He worked there for ten vintages and subsequently made a series of stunning wines for Corliss Estates before recently moving over to Goose Ridge Estate Vineyard and Winery. During this time, Mix worked quietly on his own wine project, starting all the way back in 2000 while he was at Chateau Ste. Michelle. “I felt compelled to do something where I had a little more latitude to pursue my own ideas,” he says. 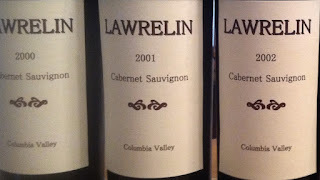 Mix named his winery Lawrelin (pronounced ‘Lor-relin’), a combination of the names of his parents Lawrence and Elinor. Part of Mix’s goal with the winery is to show that Washington wines are ageworthy. Mix’s exceptional patience is your reward. 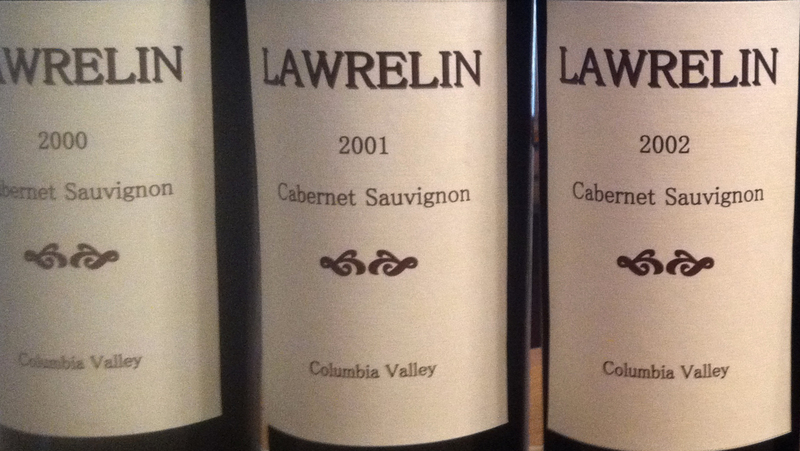 The Lawrelin inaugural releases are glorious wines – among the most exciting wines I’ve sampled this year. They are simultaneously a clarion call to the excellence and ageworthiness of Washington wine and a testament to Mix’ talent as a winemaker. Some might be too timid to release wines nearly a full thirteen years old; not Mix. The results speak for themselves. These wines are in full bloom, mature but far from past their prime. I sampled each of the wines over a series of days and they were just as compelling, if not more so, over time. Mix intends to release the 2000 through 2002 vintages simultaneously later this year and then release subsequent vintages one at a time. While the final prices haven’t been decided, he anticipates the wines to be in the $35 to $40 range – more than reasonable considering the age of the wines and the quality that is in the bottle. A note about drinking aged wine. As you might expect, these wines drink differently than newly released wines with tertiary aromas and flavors from bottle ageing, such as dried fruit, truffle, and leather. As such, some might find them riveting while others might miss the fresher fruit they are accustomed to. I have given below estimates on when these wines should be consumed. These are based on when I believe the wines will start to decline. However, they should age gracefully for years beyond what I have indicated below. I should also add that cork taint – often noted by a damp basement aroma – may be present in any wines using a cork closure but is more noticeable on aged wines (you can see this for yourself by taking a corked bottle of wine and letting it sit for several hours or overnight). If you come across one here or elsewhere, you can read about how to return a corked bottle of wine here. (Good) Almost a full thirteen years old, the aromas are all tertiary with mushroom, leather, and steeped black tea. The palate’s cherry flavors are beginning to fade but overall remain remarkably intact and expressive. Throwing some sediment. Pour carefully or decant. 100% Cabernet Sauvignon. Kiona and Sundance Vineyards. Aged in French oak (50% new). 107 cases produced. Sample provided by winery. (Excellent/Exceptional) Moderately aromatic with coffee, dried cherry, licorice, and leather. The palate is showing beautifully with an exquisite balance of vibrancy, intensity, and maturity. Drinking perfectly now, it should hold for another three to four years before it starts to decline. 83% Cabernet Sauvignon and 17% Malbec. Kiona, Sundance and Alder Ridge Vineyards. Aged in French oak (60% new). 176 cases produced. Sample provided by winery. (Excellent) The aromas show their age (as they should) with medicinal notes followed by sweet dried cherries, leather, and a potpourri of spices and dried flowers. The palate is holding up beautifully with focused cherry flavors and puckering acidity and tannins. Drink now or in the next three years to see it at its best. 86% Cabernet Sauvignon, 14% Malbec. Kiona, Sundance and Alder Ridge Vineyards. Aged in French oak (66% new). 146 cases produced. Sample provided by winery. (Excellent) Lightly aromatic with coffee bean, vanilla, medicinal notes, mushroom, cherry, and tertiary notes. The palate is succulent and rich with cherry flavors on a long, persistent, detailed finish. Drink now or hold for the next three years. 100% Syrah. Kiona Vineyard. Aged American oak (100% new). 14.3% alcohol. 19 cases produced. Sample provided by winery. (Exceptional) A moderately aromatic wine with baking spices, coffee grounds, leather, and dried cherry. The palate is full and rich with cherry and coffee flavors and tannins that are just a bit dried out but overall this wine simply dazzles. Drink now or in the next four years to see it at its best but it has a long life ahead of it still. 100% Syrah. Kiona and Clifton vineyards. Aged in French oak (33% new). 14.3% alcohol. 69 cases produced. Sample provided by winery. What a fascinating project he has undertaken. I really admire his holding back those vintages from the market for such a long period of time, particularly when you consider how that would impact his cash flow! Good for him; I look forward to trying his wines when released. How would one get their hands on these wines? Great story, and I have to say I'm a bit surprised as I don't see Washington wines having sufficient acidity to hold up for a decade. Very cool if not a bit crazy on his part. Emily, I will post here as soon as I have an answer for you. My understanding is that Mix plans to release the wines later this year. Make sure to click on the "Subscribe by email" link down in the bottom right to receive a notification. They don't have a website or contact info yet, so please keep us posted on how order these. Thanks! Clive, I am a fan of aged red wines and I can tell you from experience, that Washington's wines do hold up very well after a decade. Recently I have drank Washington wines from 1999, 2000, 2001 and 2002 that were fresh,complex and delicious. The cool nights tend to preserve acidity in the wines. Put away a few bottles from some of the better producers and try them after a decade. It has brought me lots of reward! For folks interested in these wines, email lawrelin@charter.net to be added to their email list to receive release information. Please let your readers know that if they are interested in the Lawrelin wines, they can send their contact info to lawrelin@charter.net to get on our mailing list. They will be notified when the wines are available. I can vouch that Washington wines do age well. Three weeks ago, my wife and I took a bottle of the 2003 L'Ecole Cabernet Sauvignon with us to Maui to celebrate our tenth anniversary. The wine was as good as the view. We've created a new Lawrelin blog page, as well as updated Lawrelin Wine on the social media front, so if your readers have any questions about the wine, they've got options now!